native to Mexico and Central America. The stunning, dark green foliage is deeply notched and perforated, giving the appearance of split leaves with holes in them. In the wild, the plant can reach up to 12 feet or more, flower and bear edible fruit ; however, this rarely happens when grown indoors.. The impressive leaves can grow up to 18 inches long. Young plants do not have splits and holes and are often confused with the heart-leaf philodendron. 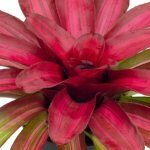 This plant is undemanding and one of the easiest houseplants to raise. All you have to do is grow it in bright light, water, fertilize and sponge the leaves occasionally. trellis for support. You can also train it to grow up a moss stick. It makes a fantastic display as a floor plant in any large room. will be smaller without the splits and holes. for this plant. Dry, brown leaf edges are caused by dry air. To prevent this, raise the level of humidity . Temperature: Average - Warm. 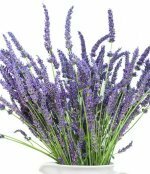 It grows well indoors with mild temperatures from 70 to 85 degrees Fahrenheit. Fertilizer: All-purpose. Fertilize plants during the growing season (spring to autumn). Do not feed in winter when plant goes dormant. Monstera deliciosa plant is toxic to dogs and cats. It contains Insoluble calcium oxalates which can cause intense burning and irritation of the mouth, tongue and lips. If ingested, pet may show signs of drooling, vomiting and have difficulty swallowing. the ASPCA Animal Poison Control Center.